The sky is the limit on your hen party in Northern Ireland, with our Gyroplane Flying experience! 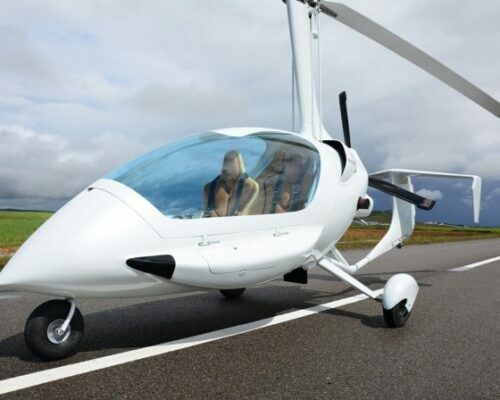 Gyroplanes are a cross between a fixed-wing aeroplane and a helicopter but are much easier and safer to fly. This gives you and your hens, the chance to take the controls mid-flight, making this the ultimate hen party experience to remember! After a session brief, you will get strapped into your Gyroplane and get ready for take off. Once in the air, your qualified instructor will take you on a breathtaking journey over the countryside. As you can safely fly at lower altitudes than a helicopter or small aircraft, you will get the best views of the countryside below! So relax and enjoy the flight and even have the chance to take the controls and fly the plane yourself! If you have always wanted to trying flying, then this is the perfect hen party idea for you! For other Hen Party Ideas Northern Ireland, check out Hen Party Microlight Flying. Or for the ultimate adrenaline-filled hen weekend, have a look at our Hen Party Parachuting package!